Just to remind everyone what we are dealing with here as vaccines damage the entire generation of emerging humanity. This entry was posted in Vaccine Injection Room and tagged autistic teen on May 30, 2018 by Editor. The Arizona State Supreme Court ruled this week that college students who are medical marijuana users will no longer have to live in fear of being arrested and labeled as felony drug users if they are caught on campus with their medicine. The ruling also has national implications in states where cannabis is legal for medicinal use but possession on campus is not. The fight for justice in Arizona was led by Arizona State University (ASU) student Andre Maestas. His dorm room was raided in March 2015, and .6 grams of cannabis and paraphernalia were found. Despite having an MMJ card, Maestas was charged with felony possession of marijuana. VLA Comment: Every child is damaged to some extent by early childhood vaccines. As youths they feel depressed, anxious, and labeled as ADHD, OCD, Bi Polar, etc. Cannibas appears to be a natural remedy to asuage the physical and mental pain. This entry was posted in Doctors Speak Out, Healing & Recovery Room, Liberty & Freedom Room, Medical information and Research Data, NATURAL REMEDIES and tagged campus, Marijuana, supreme cournt on May 27, 2018 by Editor. NY, MAKE 9 PHONE CALLS TODAY TO MOVE BILL A8123B, the bil that protects the religious waiver to vaccines. We have to light a fire under the Education Committee Assemblymembers who have NOT made a decision on the bill. While they may not be your rep, they make decisions that affects 20 million NYers. YOU are one of them. Children of families who do not have the resources/ money to hire attorneys or who do not have the ability to articulate in English are being barred from school and denied their right to an education. This translates to minorities, single parents, parents of color being disproportionately adversely affected. 46 states use such a accepted form, along with most schools in NY. There is no correlation between a high refusal rate and a standard accepted form. ‘Religious sincerity interviews’ are WRONG, a waste of money and profoundly offensive. Religion is the name given to the recognition by the “part” of its relationship to the “Whole”. It is observed that there is a constantly growing demand by the part (individual) for an increased awareness of that Relation (God). Religion is the experience of the “seeking” aspirant to the “sought-for” Divinity. This archetypical drive towards wholeness (God) is natural to mankind, inherent in all individuals. Therefore, Religion is natural and personalized foremost to the individual and out of that comes human systems, not the other way around! “Every Church claims that ‘we are the true Church’ and that they have some ultimate authority. We have the infallible Pope; the inerrant Bible. The idea that the Truth of God can be bound in any human system; by any human creed; by any human book is almost beyond imagination. God is not a Christian. God is not a Jew or a Muslim, a Hindu or a Buddhist. All of those are human systems which Human being have created only to help walk us through the mystery of God. We honor tradition. We walk through the tradition. But the tradition does not define God. It only points to God. This entry was posted in LEGISLATION, Liberty & Freedom Room, Pregnancy and birth, Vaccine Injection Room and tagged NY, RELIGIOUS WAIVERS on May 25, 2018 by Editor. Who Killed Alex? A pharmacogenetic perspective! Polly Tommy and Andy Wakefield did a RIVETING film that you may not have seen, “WHO KILLED ALEX SPOURDAKALIS”. PHARMACOGENTICS AND THE DEATH OF ALEX: The above video is an awesome real life history of Alex’s family with early videos and documentation of the medical horror show. The family, the mother, Dorothy, and Alex’s aunt were dedicated to Alex as typical of a Greek family. You can see by the above video the extent of their dedication as the video is a live documentation of the entire event from birth to death of Alex’s case. At some point (surrounding the death of Alex) the mother began to take an anti depressant (Lexpro). She then, as symptomatic of taking a contra indicated drug by a “non metabolizer”, killed her son, stabbed her son in the heart to death, a heinous act not unlike the homicides comitted by non-metabolizers. This alerted me to the real possiblity that Dororthy (the mother), as well as her son, are “non-metabolizers” as the functioning of the liver and the super family of detox enzymes are genetically passed on. My son who experimented with LSD as a 21 year old went nuts; was put in the psyche ward at the University of Iowa where he was given Haldol, etc. He became more psychotic. I reached out to our network and got an email from Dr. Yolande Lucire, an Australian forensic psychiatrist who told me to test him for Cytochrome P450 2D6 and a few others which cost me $200.00. Turns out that David was an absolute non-metabolizer. I then tested my daughter to see if the female had the same genetic metabolism. She did. I then tested myself…I am also a non metabolizer. Dr. Lucire saved David’s life by giving us this knowledge of Liver metabolism and drugs. David, however, was never vaccinated, so he has recovered from the events of misdiagnosis. Unfortunately the assault at an early age by vaccines and their excipients(study) that can not be metabolized by infants and children took Alex out with the the ignorant addition of psyche drugs by an uneducated medical cabal who is hiding the information about Pharmacogenetics, vaccines, psyche drugs, suicides and homicides from the public. of symptoms. If the person happens to be a non metabolizer and has been injured to some extent by early vaccines under three years old, and as a result, is given psyche drugs for “mental illness” which he/she also can’t metabolize, he will become psychotic. These, we hypothesize, are the school shooters, the suicides, the soldiers PST and modern derangements. It must be noted that all children are damaged to some extent or another. These emerging generations are indeed depressed, anxious and mentally physiologically compromised as they have been poisoned early on and continue to be poisoned. The non-metabolizer which are 10% of Caucasians, for example, and are being prescribed drugs are most at risk for violence to themselves or society. The new genetic testing information is moving into the light…with the aspiration of being made Standard of Care. It is such a complex science for the average doctor and patient, that they are yielding the results by color coding. RED means drug is contraindicated. GREEN is a green light to give the patient the drug in question. YELLOW is if you have no other choice…not greens and much red. What this Yellow means is that they will give the patient a little poison at a time. It is a tough situation because the emerging generation is feeling quite badly. After all they have been poisoned at birth, 49 vaccine doses by the age of three. Go to www.SSRISTORIES.net for a extensive and brutal list of homicides and self-suicides of children under 7 years old who are founding hanging by their belt in the closet. Pharmacogenetic is the big pharmacuetical industry secret. It has been said, that if the public knew, the industry would lose billions and billions of dollars as upward of 50% of their drugs can not be taken by the population, by 10% of Caucasians, and percentages of Asians and Africans. Although we are focused on vaccines, others are focused on psychiatric drugs…like the Citizen’s Commission for Human Rights (CCHR – Scientology arm). I have tried to get CCHR to wake up to pharmacogenetics, but have not succeeded as they are wed to late Thomas Szazz who claimed that the kids today are Norman Rockwell rambunctious and don’t need drugs. In this way, this powerful group, CCHR, is behind the curb. The other group that could add to our momentum are GUN OWNERS and the NRA. The establishment strategy (rather than stop poisoning children at the gitgo), is the following: There has been an initiative for a long time that CCHR has battled. However, the establishment is gaining steam again. That is to mandate tests to all school children for “mental illness”. This was tried in the early day with a program called TEEN SCREEN which we squelched to a point. The establishment strategy is to virtually eliminate the second amendment by establishing a report on every person at the school level as to their mental fitness. With the every growing and extensive DSM (Diagnostic Statistical Manual), we suggest that these school record will eventually prevent a large percentage of the population to get permits for self defense weapons. Thus backdoor de-weaponizing the American people. With the exposing of pharmacogenetics as it regards vaccines, drugs, school shooting, suicides by collaborating with these two groups we can increase our momentum. Please pass this on to any of your connections. This entry was posted in COOL VIDEOS in Sports, Recreation,Technology, Art, Comedy &Inspirational, Death By Medicine, Medical Kidnap & Tyranny, Personal stories psyche drugs, Personal Stories Vaccine Injuries, Vaccine Injection Room, Wake up Films & Documentaries and tagged Alex on May 24, 2018 by Editor. Twenty-seven drug regulatory agency warnings cite psychiatric drug side effects of mania, psychosis, violence and homicidal ideation; 1,531 cases of psychiatric drug induced homicide/homicidal ideation have been reported to the US FDA; 65 high profile cases of mass shootings/murder have been committed by individuals under the influence of these drugs, yet there has never been a federal investigation into the link between seemingly senseless acts of violence and the use of mind-altering psychotropic drugs. From Prozac to Parkland: Are Psychiatric Drugs Causing Mass Shootings? VLA COMMENT: There is “science” on this. It is in the field of pharmacogenetic.pharmacokinetics. These drugs show in their package insert that they are metabolized through the super family of liver enzymes called Cytochrome P450. 10% of Caucasians, for example, cannot metabolize upwards of 50% of today’s common psyche drugs. These people are called “non-metabolizers”. The pharmacuetical industry has blocked the movement to “test” each patient for their metabolizm prior to prescribing drugs. The have also blocked education in pharmacokinetics aimed at the nation’s medical students. Considering every doctor including pediatricians who prescribe psyche drugs to children as young as one year old and considering the extensive use to all demographics, we must include pharmacogenetics as a required continuing education course. See: www.SSRIStories.net for the lists of suicides and homicides associated with prescription drugs. We don’t understand why the activists that are exposing the association of pharmacueticals to the homicides and suicides are not explaining the science. Put Cytochrome P450 into our search engine for more information. Furthermore, Cytochrome P450 is not “mature” until a child is at least 3 years old. All infants have immature liver enzyme function. Yet they are injected at birth and during their early years with excipients that need a fully functioning Cytochrome P450. In other words, we are poisoning all incoming generations of humanity, as they are not able to detoxify the excipients found in early childhood vaccines. Put “Infants” in our search engine. Put CDC excipentsin our search engine to see the CDC list of excipients in vaccines. Every child who is vaccinated are being injured by the excipients in the vaccines, including heavy metal aluminum and mercury which interfere in Cytochrome P450 metabolism. The damage shows up an neurological problems, regressive autism and is being diagnosed as “mental illness”. Without testing for metabolism these recipients of vaccines appear via the Diagnostic Statisical Manual as “mental illness”. Those who seek to destroy the second amendment will do so by funded and required mental illness testing in school. Already 25% of American children are on some form of psyche drugs. This translates into 25% of the future population being red flagged and dissallowed gun ownership. However, rightfully so, as due to the vaccine schedule currently of 49 vaccine doses by the age of three, these kids are damaged. Psychiatric drugs are now being given to infants and toddlers in unprecedented numbers. An analysis of 2013 IMS Data, found that over 274,000 infants (0-1 year olds) and some 370,000 toddlers (1-3 years age) in the U.S. were on antianxiety (e.g. Xanax) and antidepressant (e.g. Prozac) drugs. This report also found over 1,400 infants were on ADHD drugs. VLA COMMENT: What are the chances that the gun owners, politicians, Pres. Trump realize that the solution to the mass shooting is not to ban guns but to stop poisoning infants who are subsequently prescribed drugs that they cannot metabolize; have suicidal and homicidal ideations; commit heinous acts of mass shootings. This entry was posted in Pregnancy and birth, Psyche Ward and tagged Mass shootings, psyche drugs, Science of Phamacogenetics on May 22, 2018 by Editor. Almost from the beginning, the pro-vaccine lobby has seemed intent on blaming Ezekiel’s death on the lack of a vaccine. People involved on every level worked together to paint a false narrative of events. The grieving parents were brutalized in the court of public opinion as wild distortions of the truth were propagated by the media. They were brutalized as well in the courtroom as witnesses lied, evidence was suppressed, and facts of the events were twisted to accuse the parents of harming their child. There are parts of the story that the Stephans are only just now learning. Evidence is surfacing that support the parents’ version of events. Other evidence is coming out revealing that the corruption, malpractice, and wrongdoing go far deeper than anyone could have imagined. This entry was posted in Liberty & Freedom Room, Medical Kidnap & Tyranny, Pregnancy and birth, Vaccine Injection Room and tagged non vaccinating, Stephens on May 19, 2018 by Editor. This entry was posted in Food & Water, Pregnancy and birth and tagged Glyphosate on May 18, 2018 by Editor. 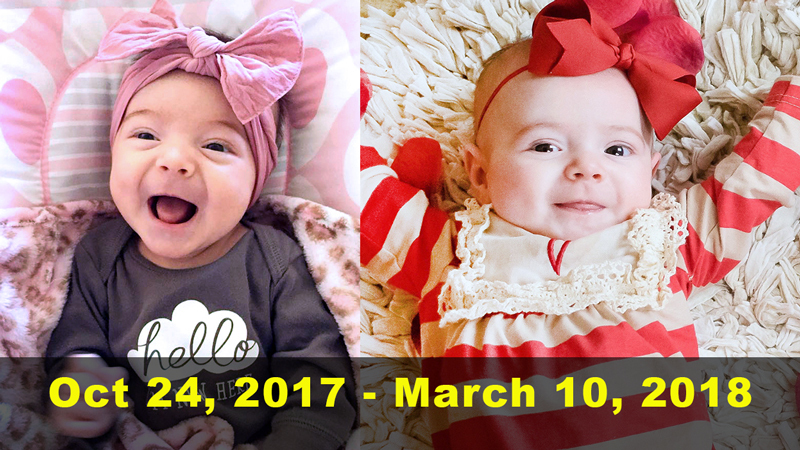 Violet Lorraine Kiest Died 48 Hours After Her 4-Month-Old Vaccines – We Must Stop This Slaughter! This entry was posted in Personal Stories Vaccine Injuries, Pregnancy and birth, Vaccine Injection Room and tagged 4 month old on May 18, 2018 by Editor. This entry was posted in Food & Water, Genetically Engineered Food, Organic Farming/Organic Food and tagged CA, Glyphosate on May 17, 2018 by Editor. This entry was posted in Medical information and Research Data, Pregnancy and birth, RESEARCH, STUDIES, DOCUMENTATION, Vaccine Injection Room and tagged aluminum, STUDY on May 16, 2018 by Editor.